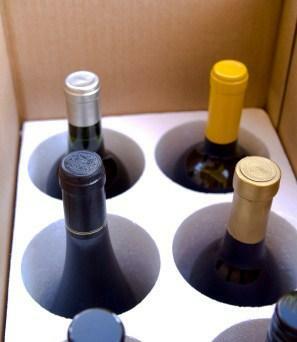 Getting the delivery of wine as a gift is a wonderful thing for your wine-loving friends. Delivery of wine as a gift is the perfect way to say everything from "Thank You" to "Happy Anniversary." What a wonderful feeling to get a knock on your door and the delivery man has you sign for something - you open it up, and voila! Wine! How unexpected and then you think how wonderful the person is who sent it to you while you look for a corkscrew. There are a few things to consider before opting for delivery of wine as a give. First, before you even consider buying wine as a gift, make sure you know exactly what that person likes. More often, what happens is the person who sends the wine as a gift sends the wrong type of wine. If you don't drink white wine, then you wouldn't want to receive white wine (no brainer there). So basically you've sent a gift to someone that they will end up giving away to someone else. Not exactly what you were looking for, right? So do some homework. 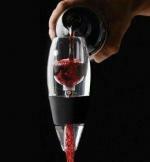 Obviously figure out if they like wine or if they drink red or white (or both)…but also take it to the next step. Figure out what type of wine they really like. Perhaps they are a Zinfandel lover, or maybe Pinot Noir is their thing. The more you can customize the gift to that person's likes the better received that gift will be. This is all commonsense stuff, but often times, what happens is the person buying the wine buys what they like instead of what the person who receives the gift likes. Another thing to consider is where to order your wine from. There are many options, but here are a few things to consider. First, if you are lucky to live close enough to wineries, you can go out and do some tasting and see if any of the wineries have any special deals or sales (some wineries ship for free if you order six or more bottles). Second, some wine shops will not charge for shipping containers if you buy from them, and they may be able to ship it for you. That way you don't have to worry about buying wine and then driving it somewhere and shipping it yourself. Again, do your research - it could save you money in the long run. You cannot ship wine yourself. If you drive down to UPS or to the Post Office and try to ship wine, they will turn you away automatically … and if they find it after you tried to ship it you could be fined and the wine confiscated. That's no fun. The only way you can lawfully ship wine is to order it from a wine shop or winery who can ship directly themselves, or buy driving it to a third party shipper. Which leads us to the next question … where can wine be shipped? The question of where you can ship wine to is not exactly an easy one. If you live in wine country, California … you can drive to five different wineries and all five will have different rules regarding where they can send wine to and how much it will cost. It's not always about the state we are trying to ship too allowing the winery to do it or not, sometimes it is about the license and permits that the winery has to buy and renew each year. If that permit is expensive and they don't ship much wine there, chances are they won't put the work into getting the permission to ship there, whereas perhaps the winery down the road will. Also, be aware that different wineries will charge different amounts to ship to the same state. It depends on the shipper that the wineries subcontract with, or if they ship it themselves. As far as which states you can legally ship to, the Wine Institute keeps track of the current laws for each state. Go to their website for the current up-to-date laws for each state. Remember; just because a state may be a "shippable" state that doesn't mean that a winery is able to automatically ship there. Double-check with the winery or shop you intend to shop from before you make any purchases. As always, you have to do your research before investing in wine to ensure you get the most for your money. Once you do that, you will be able to give a gift of great wine to your intended recipient. Cheers!